Laurie Bennett is from North Carolina. She loves hiking, animals, geo-caching, writing, video games, comedy and vintage style. So You're Considering a Pet Sulcata? If you don't know much about them, I would suggest you click here first to read a detailed article about sulcatas in their natural habitat. This will help you decide if you are able to mimic their environment in your home, as your ability to do so is crucial to their well-being. 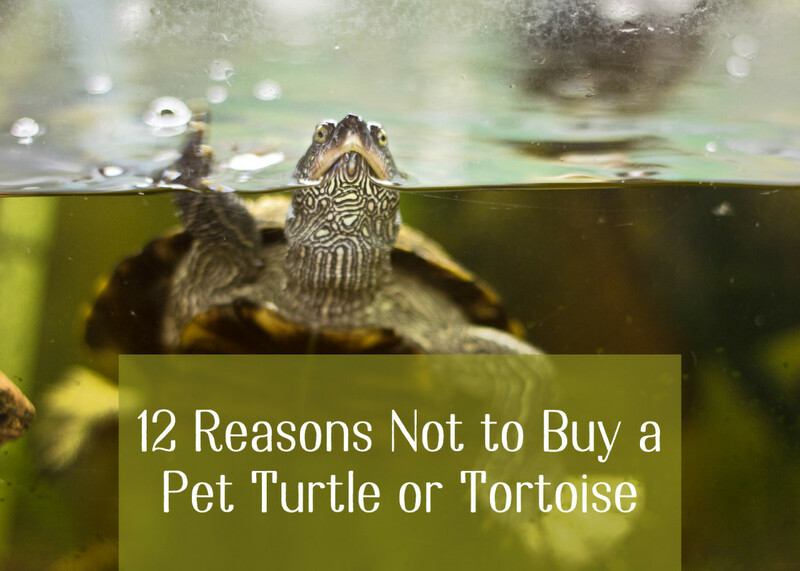 After you've done your research and still decide you want a sulcata, read on. They're wonderful pets for the right keepers and will be a lifelong companion! You can learn more on rescuing a homeless sulcata by clicking here. Sulcata tortoises are strictly herbivores — they eat only vegetation. You'll want to feed your sulcata approximately 95% grass and weeds. This may sound dull to us, but it's perfect for them because they require a high-fiber, low-nutrient diet for slow and steady growth. 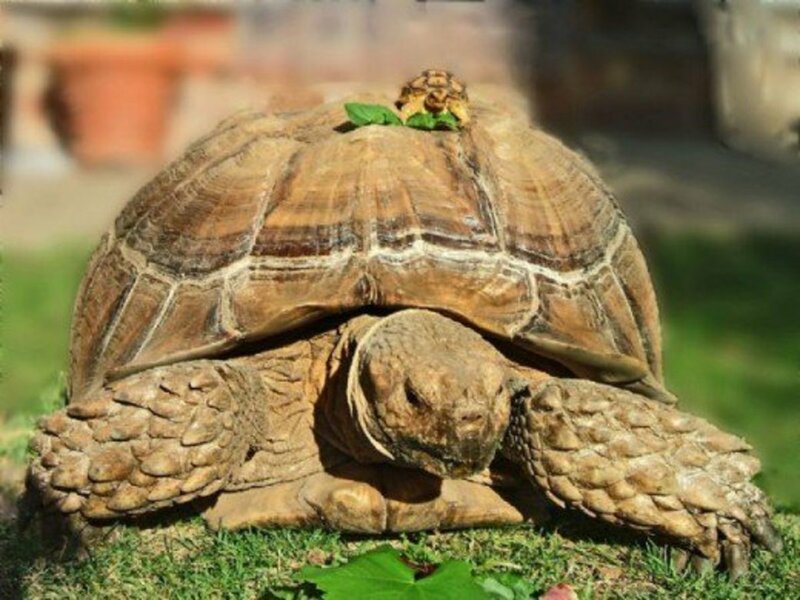 Provide as much variation within these guidelines as possible to ensure that your tortoise is getting all of the required nutrition. Know that a sulcata will not overeat. Provide him with hay at all times to be sure he doesn't remain hungry after feeding fresh grasses and other foods. You will find yourself learning how to garden while feeding your sulcata! Aside from plain ol' grass and weeds, you can liven up the diet in a healthy way by giving them treats. Be sure that none of these plants have been sprayed with pesticides or were bought within 2 months. 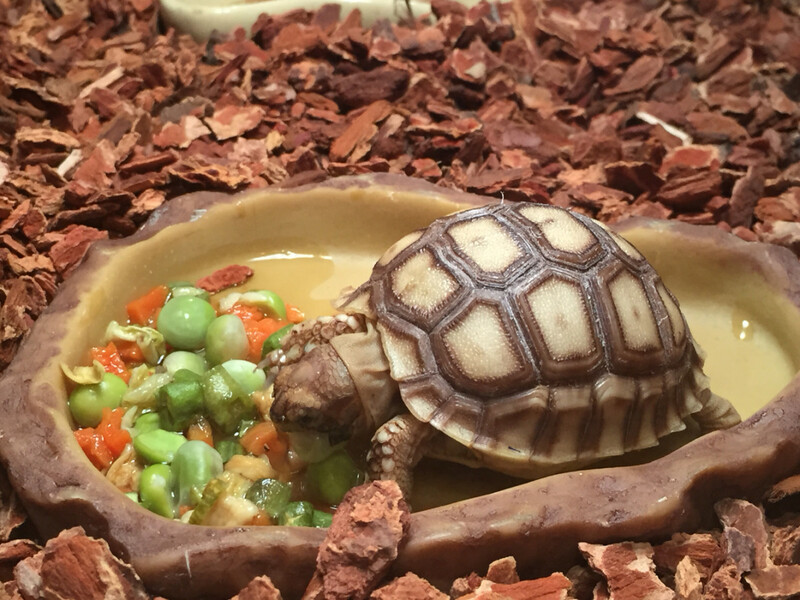 Calcium is a very important part of the sulcata's diet. Good sources of calcium can be found in safe foods such as dandelion greens, grape, and mulberry leaves. Also, remember to always keep a cuttlebone in the enclosure so that your tortoise can eat as it needs to. It's also important to note that fruits are very high in water and sugar. So while it's okay to occasionally offer a strawberry, a watermelon rind, or a bit of tomato, this should not be a regular part of their diet. Once every two weeks is fine. 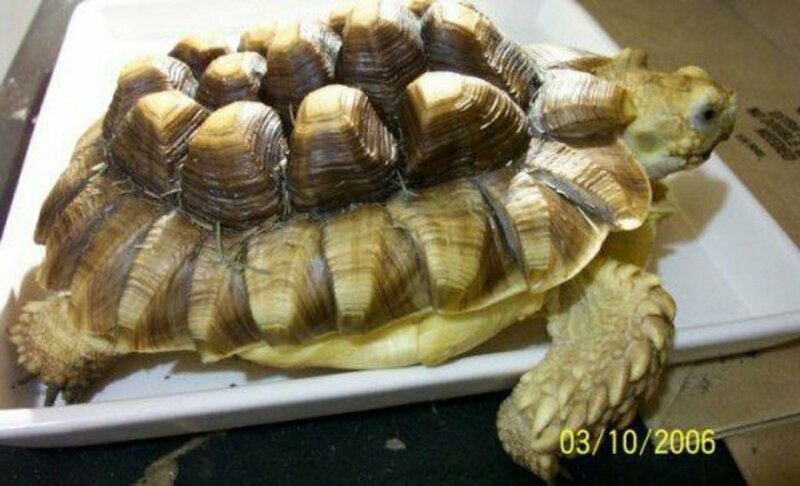 Never feed your tortoise iceberg lettuce as this can cause diarrhea and dehydration. Timothy hay is an important part of your sulcatas base diet! I feed it to my sulcata during winter months. Simply spray a bit down with water to soften. For the health and happiness of your tortoise, it is important to provide them with a home that is as similar to the animal's natural environment as possible. Sulcatas are best kept in outdoor pens in climates that are dry and warm. If you live in a cold, wet environment, a sulcata is NOT the right tortoise for you. When your tortoise is a baby or young adult, it is easy to provide the proper enclosure right inside your home. But remember, the bigger the better! Large plastic totes work well for baby tortoises, along with homemade tortoise tables (as seen below). Glass enclosures are not recommended as tortoises cannot comprehend glass. They will continuously try to walk through it and become stressed. Moreover, water left in a glass tank will increase humidity, which can cause respiratory illness and shell rot. For slightly larger sulcatas, a bookshelf turned on its back on the floor and lined with waterproof liner is great. The possibilities are endless! Use your own creativity! Once your sulcata is big enough to go outside during the summer, there will be even more housing options. This is an excellent indoor enclosure for a very young sulcata. Sulcatas are burrowers — they love to dig! The best substrate to use in their enclosure would be a sterile dirt/sand mix. 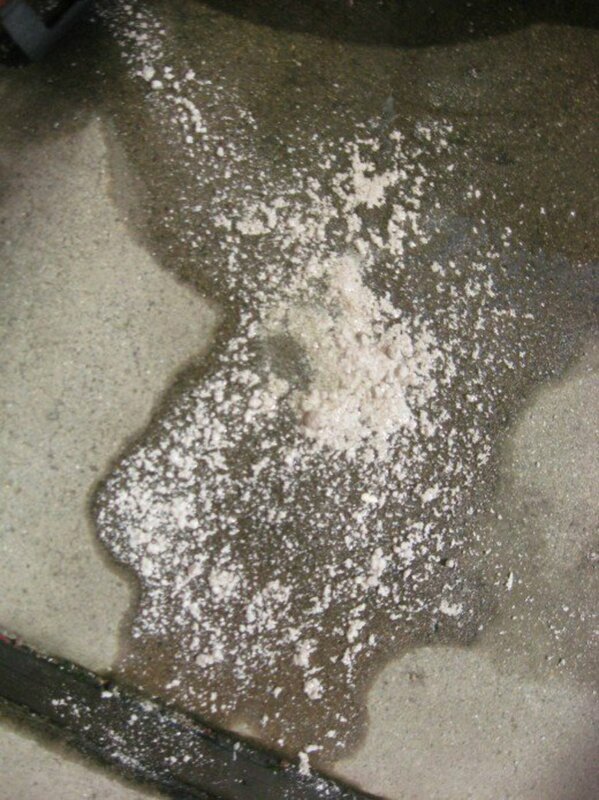 Never use just sand because if their food gets sand on it, they will eat it and could become impacted. You'll want to provide a hiding hole with sphagnum moss inside for humidity. Remember to spray it with water every so often. For babies, a flower pot turned on its side and buried halfway is perfect. Adults are going to require something larger like a plastic box or tub with a hole cut out for easy entry. Fake foliage is not recommended unless it's unreachable for the tortoise (some have been known to get curious and eat them). Real plants are great! The best method is to grow several different types of plants and seed mixes outside the enclosure and then cycle them in and out. Place them so that the individual pots are higher than the substrate. This ensures that the tortoise cannot eat or trample the entire plant, allowing it to regrow. Be sure to use soil with no perlite, vermiculite, or pesticides! Natural manures are fine. If you wish, you can use stones to make pathways and rocks for climbing/basking. Be sure that none of the rocks are big enough to swallow as this will cause impaction, requiring surgery. 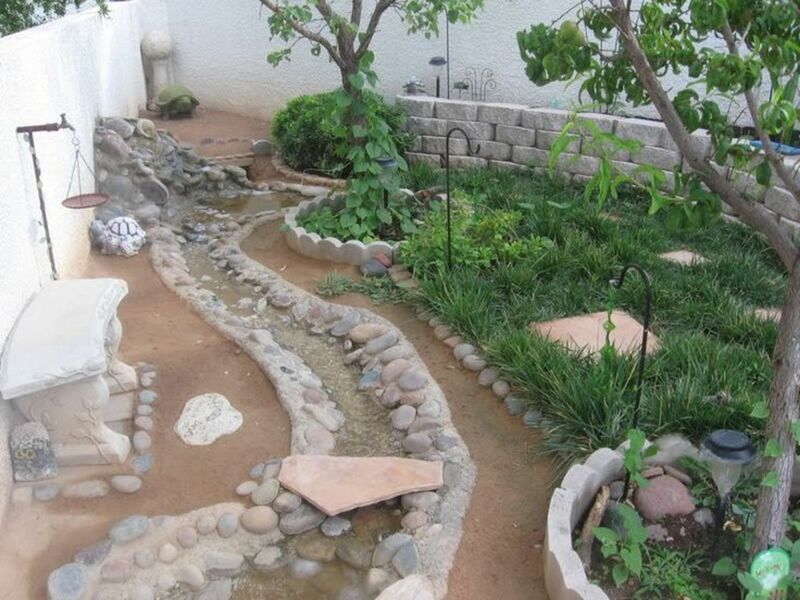 If you get rocks from your yard, clean them thoroughly before placing them in the enclosure. Large tree branches can be a nice addition as well! Just make sure your sulcata can't climb it and fall. 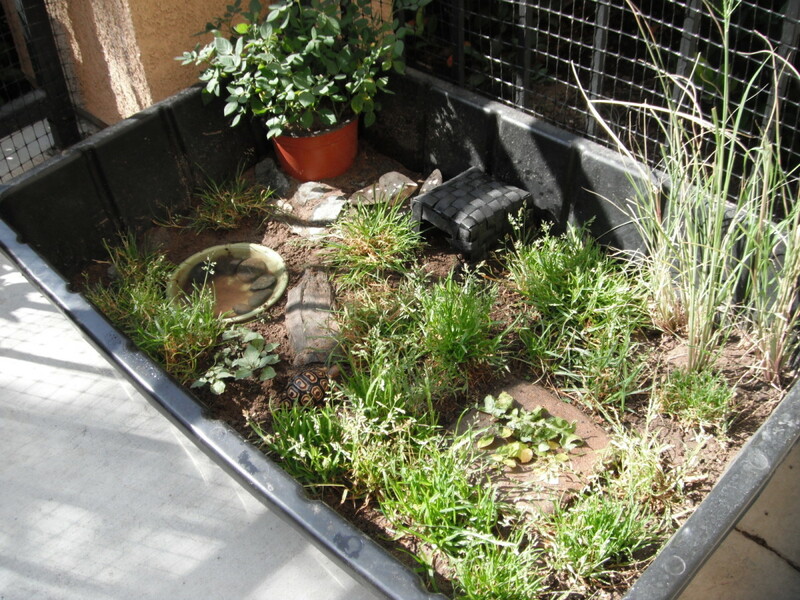 A good example of enclosure gardening. 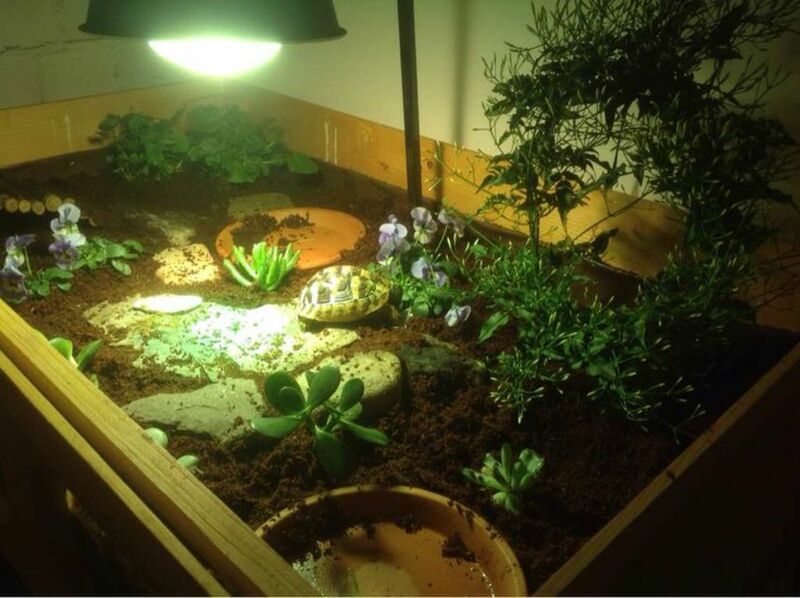 An incandescent light bulb (heat lamp) should be placed on top of the tank (opposite the side with the hiding spot) to provide your tortoise a warm basking area. Make sure the temperature reaches 95-100 degrees Fahrenheit when the light is on. If not, adjust the wattage of the bulb accordingly. A second thermometer should be placed at the other (cool) end of the tank to make sure that side is at least 10-15 degrees cooler than the basking side so your sulcata won't overheat. The heat lamp should be connected to a thermostat for temperature regulation. Using a blacklight bulb instead of an incandescent at night will keep your tortoise's days and nights regulated. 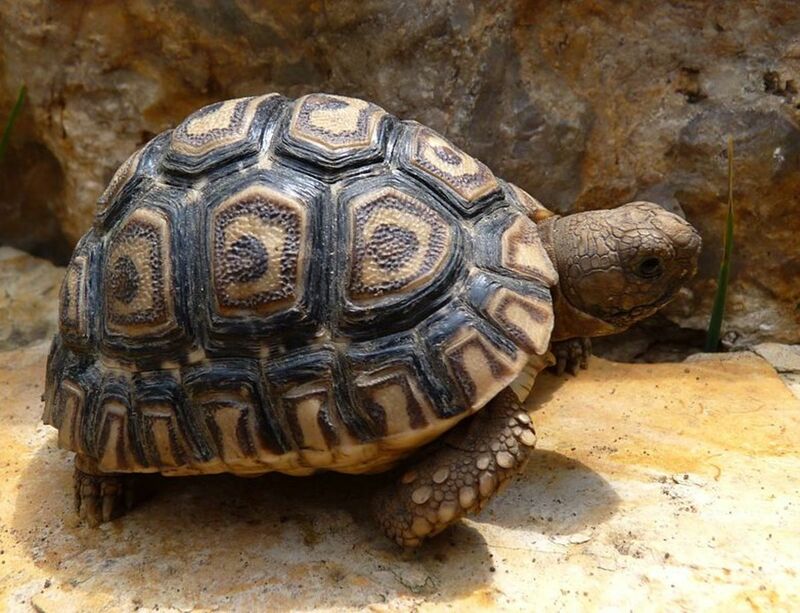 UVB is essential for tortoises to process calcium in captivity. 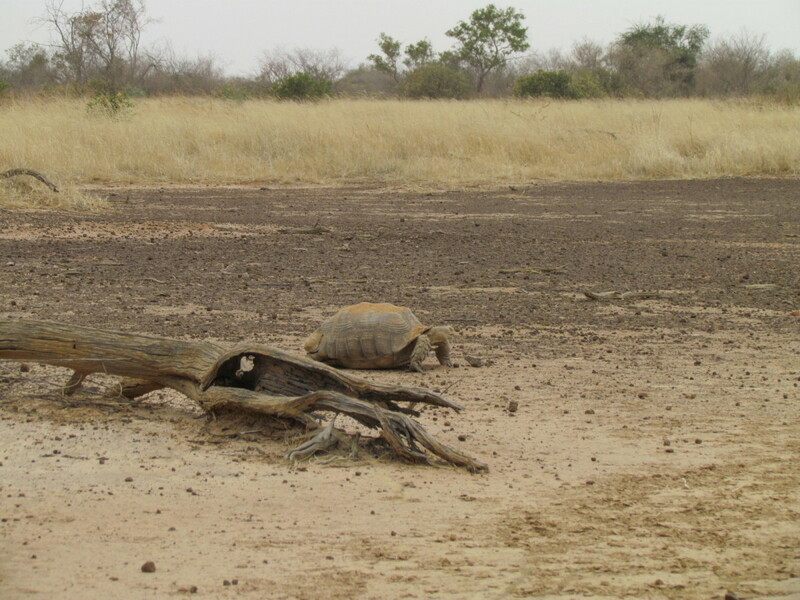 Without it, tortoises develop serious health problems such as abnormal shell growth, metabolic bone disease, and other serious illnesses (See photo below). In pens with open tops, the UV light should be positioned across the top and a heat lamp should be clamped securely to one side or set on top if there's a screen. UV Lighting should be left on for 10-12 hours a day and turned off at night. 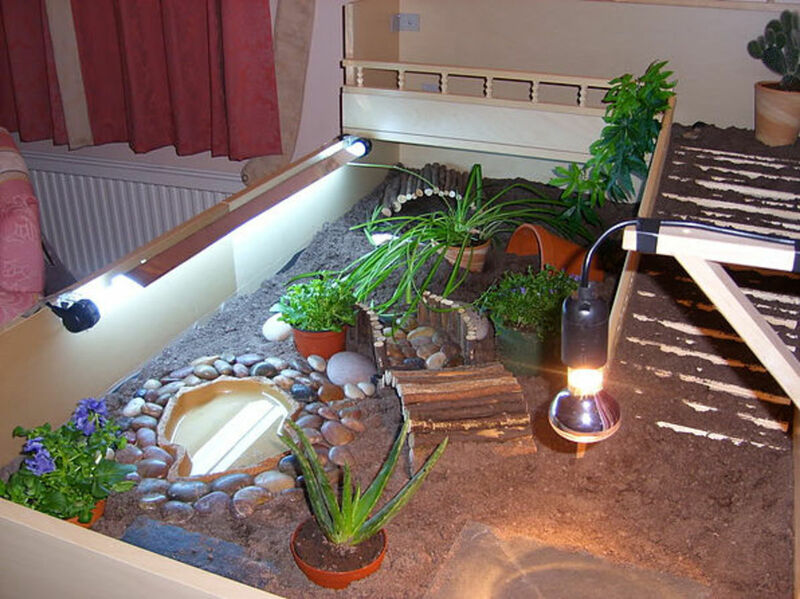 Keep the UV lamp within 10 inches of the basking lamp for maximum efficiency. Replace bulb every 6-10 months. Even though the light still works, they lose UV over time. Effects of metabolic bone disease. In spite of it being a desert species, the sulcata, like all tortoises, requires plenty of water. Some people think that they can go long periods of time without water, but that's just not true. Not having enough water can cause kidney failure and stones, which can be deadly. For babies, a very shallow dish of water should be made available. Make sure that if the baby were to fall in or flip over in the dish that he cannot drown. For adults, the bottom dish of a flower pot makes a good water bowl. Again, be sure there is no way the tortoise could drown. Appropriate water dish and level for babies. 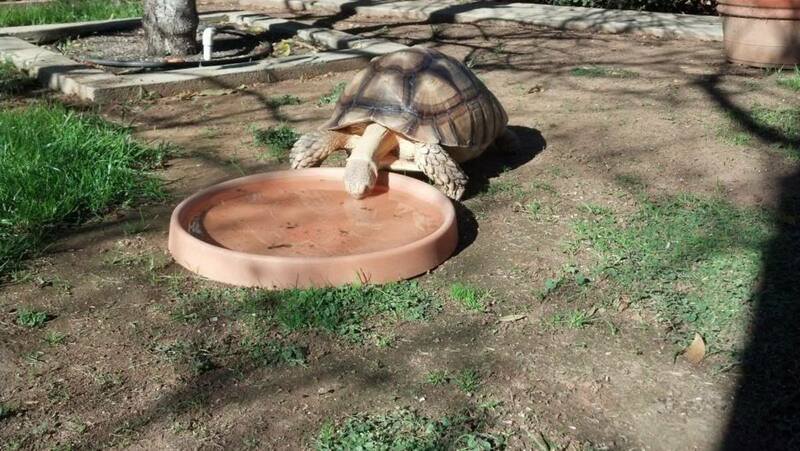 Some tortoises like to climb into their water dish to soak. To insure they can climb in and out without flipping over, put rocks around the inner rim of the dish. To keep the water cleaner for longer, place rocks around the outside of the dish as well. This helps prevent substrate from being tracked in. Feeding a sulcata in its enclosure is pretty easy. You can simply put the food on the ground. If the ground is damp, put the food in a shallow dish. If there are any scraps after the day, you'll want to clean them out to prevent insects and sickness. Whether indoors, outdoors, or both, you'll need to soak your sulcata, not only for cleanliness but also for proper hydration and for passing waste. 30 minutes, three times a week should be adequate for an outside tortoise, but in warmer months, you may need to soak him more often. Indoor tortoises should be fine with twice-weekly soakings. You'll want to use a tub large enough for the tortoise to turn around in, but not climb out of. You can use your bathtub, but be sure to thoroughly disinfect it afterwards to protect yourself against germs. 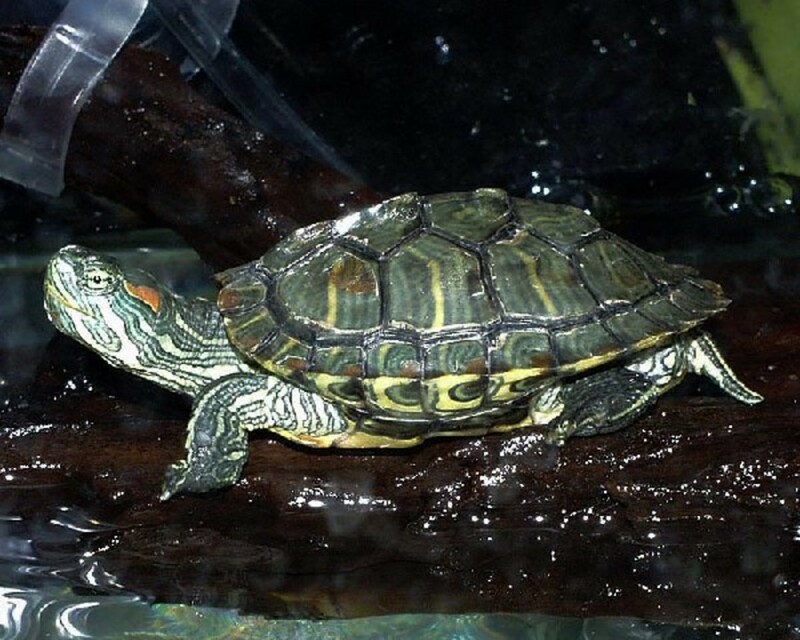 Use warm water for a healthy tortoise and slightly warmer water for one that is dehydrated (more on that shortly). To prevent drowning, never fill the water up past where their nostrils are when their head is tucked in. Never leave your tortoise in the bath tub while filling it up. It's easy to forget what you're doing and they will drown. Don't leave them with the shower going either, as this can cause them to defecate and the stool will block the drain and overflow the tub. 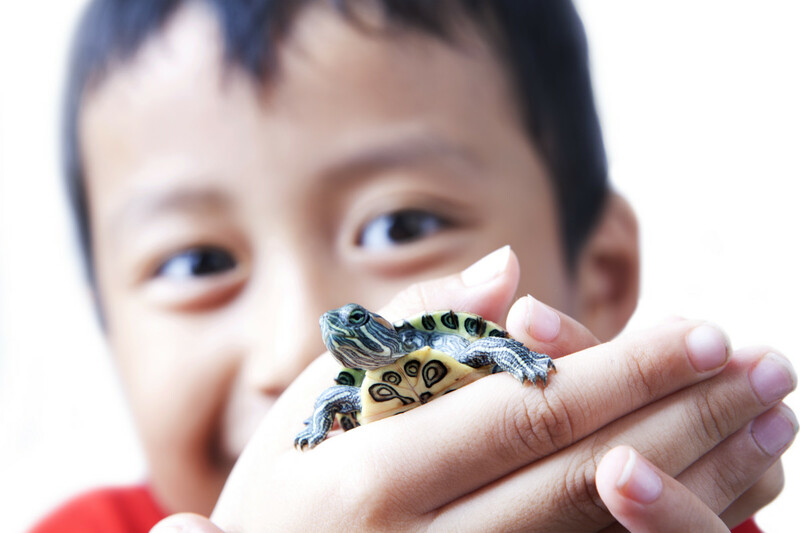 Leaving your large tortoise alone in a safe, shallow amount of water is fine, however, babies should not be left unattended and adults should be checked on often. While in the water, don't be surprised to see your tortoise dunk his head in for what seems like forever. He's not depressed; he's drinking! Watch his throat and you will see him swallowing. For particularly dirty tortoises, you can gently clean their legs and shell with an old soft toothbrush. Don't use any type of soap — water only. Your tortoise will most likely pass stool and urine during baths. Their stool should be well-formed, brownish/green, and grassy. Their urine, however, can be startling if you don't know what to expect. 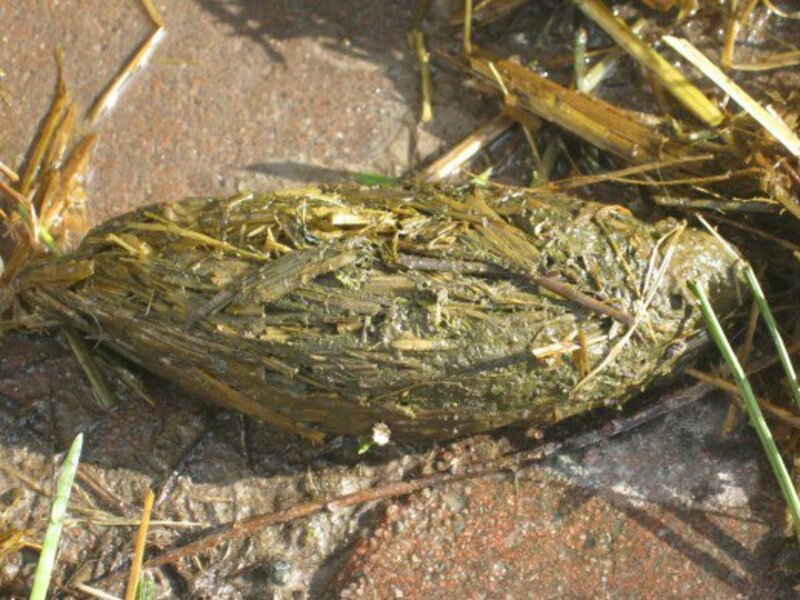 Tortoise urine contains urates, which usually look like grey cottage cheese. Some urates are fine, but if they're large or hard, your tortoise may be dehydrated. If this is the case, extra long and more frequent soaks in warmer water may be needed. Always be sure to call your vet if you're ever in doubt. A well-hydrated, well-fed tortoise should show little urates. If you're in the right climate, outdoors is the best place for your new tortoise! You should only keep one if they're able to spend at least half the year outside. Housing a sulcata outside is just a larger scale version of the indoor setup, but is much easier if you have the right space. When outdoors, they need no lighting except a heat lamp for night's colder temperatures. Also, a UVB light isn't required because your tortoise will soak up the sun's natural rays during the day! For babies and young adults, living outdoors is not recommended. Their smaller size leaves them open to attacks from animals such as hawks, owls, dogs, and rats. An adult should be fine if their night "house" is predator proof. Remember, even a small rat can chew off a sleeping tortoise's arms. Before you decide to keep it outside day and night, its shell should be at least a foot long, six to eight inches wide, and four to six inches tall. You'll need to build or buy a shed, large enough to house your sulcata. Dog houses often work just fine as long as they can get in and out easily and it is raised off the ground in case of rain. It is necessary to put in a "pig blanket" or heat lamp, along with insulation for when temperatures drop (unless you bring them inside at night and during inclement weather). You'll want to fill their house with Timothy or orchard grass hay for easier clean-up and comfort. If your tortoise is too big to move in and out of your house, you will have to make your outdoor enclosure winter-proof. Check out this fantastic example and guide. An adult sulcata needs a large yard to graze and wander. You'll want to make sure you have a fenced-in area. The fence needs to be one and a half times taller than the tortoise when standing upright, and it should not be see-through. If they can see through to the other side, they will constantly try to barrel their way through. Sulcatas are extremely strong and stubborn, so never underestimate them! You'll want to include a safe soaking area. A large kiddie pool (see photo above) with a side cutout or even a mud hole you dig yourself is great. Sulcatas need to be able to cool off or rehydrate themselves whenever they want. On a hot day, you'll often see them climb into their wallow and flip mud or water onto their backs! Obviously, they'll need plenty of grass and weeds to graze. 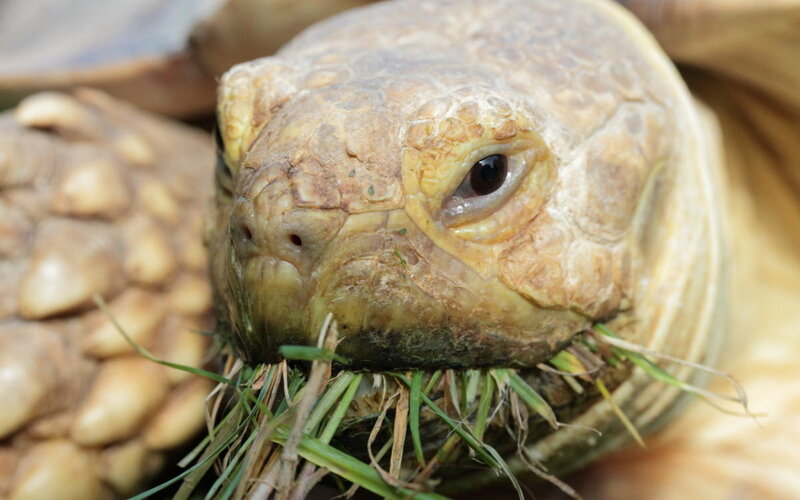 These tortoises can eat massive amounts in a day and if kept in too small of a pen, they will eat the grass to the dirt. Even though they'll be grazing outside during the summer, you'll still want to supplement their diet with some of the other safe foods listed above and a cuttlebone for calcium. Check often for signs of burrowing along the fence line and corners, under buildings, etc. These holes need to be filled up for the tortoise's safety because fences can collapse when it rains, or the tortoise can escape. Females will also lay their eggs in these places, but this article does not cover breeding. Be sure to also check the fencing itself for strength and damage or for any holes a predator could enter through. Providing hiding spaces and/or decorations will help keep your tortoise occupied and provide enrichment. Keep in mind when adding objects that these tortoises can climb. Avoid tall items that allow the tortoise to escape by climbing or can cause them to fall off. A flipped tortoise can quickly overheat and die if you're not around to help it. Always check your outside tortoises several times a day to be sure all is well. You can cut down on your workload by growing their plants in your own yard. Place a hanging basket over the base plant so the tortoise can only eat the foliage sticking outside of the basket. Be sure to secure the basket to the ground with spiked hooks, being mindful of heavy tortoise feet. Taller plants or plants you want to grow in pots such as prickly pear or hibiscus are great choices. The flowers can easily be snipped off throughout the week or allowed to fall right onto the ground for your lucky tort to find. Small enclosure, suitable for a young adult tortoise. The only time keeping a fully grown adult sulcata inside should even be considered is when emergencies arise with fencing or their outdoor home and you need another safe space to keep them. If this is the case, you can temporarily keep your very large tortoise in your home. An adult sulcata, along with being huge, is very rough and will unwittingly damage floors, drywall, and furniture. If you have to keep your heavyweight sulcata in your house, the basement is ideal. Concrete floors are easier to clean and are less damageable. You can use a large dog kennel with ply board lining the bottom of the inner walls to prevent the tort from trying to break through. Hang lamps (UVB required in winter) and place the pig blanket and hay within. 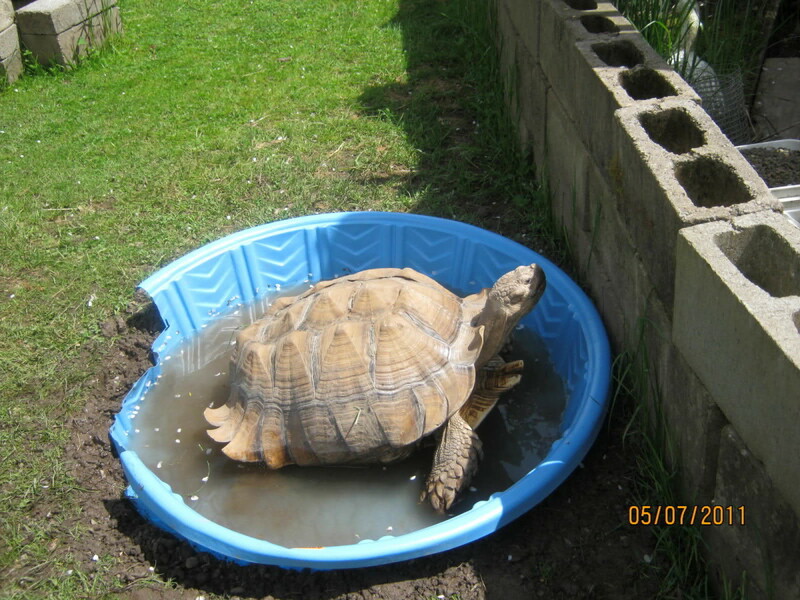 Be sure to maintain a cool side so your tortoise can escape the heat if it needs to. 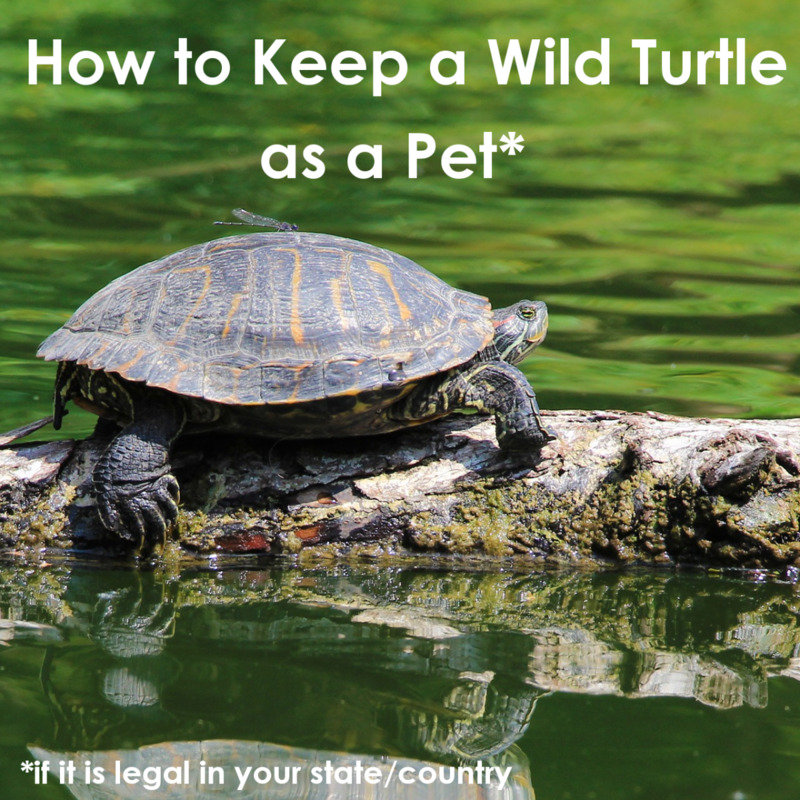 Also, make sure you keep all cords away from the tortoise (lace them through pvc pipe, if necessary). If your basement is drafty, cover the top of the enclosure with a large piece of ply board with holes for the lamps. A draft can cause a serious upper respiratory infection in a desert animal. Eventually, your sulcata may become sick. Tortoises and turtles, like dogs, often do not show many signs of being sick, and when they do, they're very subtle. Tortoises will often wait until they're very ill to show you any signs. To prevent wasted time and dangerous progression of the illness, be sure to take the time to watch your tortoise and become familiar with his actions and routine throughout his life. When you do this, it is easier to notice when your tortoise is behaving differently. Noticing these signs allows you to get to a vet quickly. 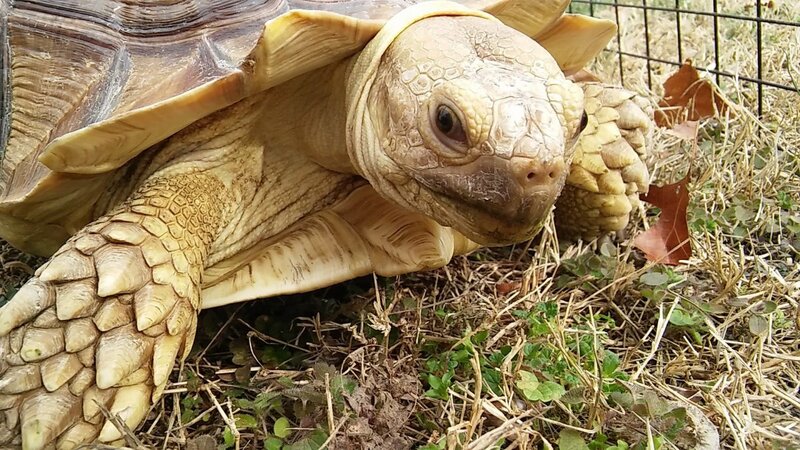 To learn more about common tortoise ailments, please click here. I highly recommend watching Kamp Kenan on YouTube for further, in-depth education on these amazing animals! 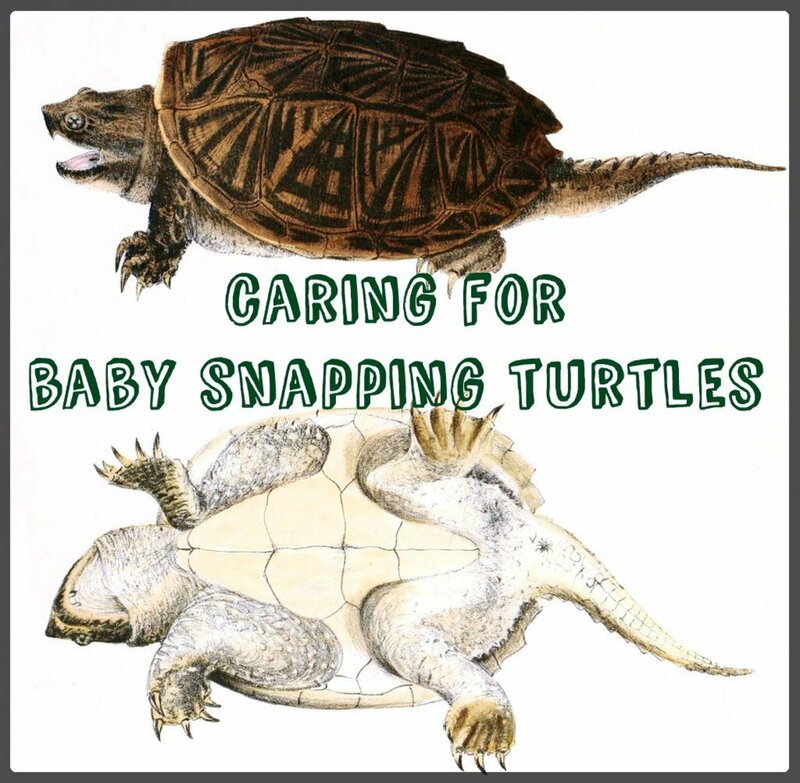 I hope you enjoyed learning how to care for your sulcata. If you have any questions or comments, please leave them below. Do you already own a sulcata? Do these tortoise have a smell? We live in Sedona AZ and this is first year our tortoise will be outside for the winter. Because we don't have an electrical outlet outside I'm wondering about a solar powered heating element, has anyone heard of such a thing? We have a seven year old male Sulcatas and it’s getting colder what should we do ?